A Specialist Of the art of treating Discolored Teeth, Chipped Teeth, Missing Teeth, Worn Teeth, Broken Tooth, Crowded Teeth & Gapped Between Teeth. Revision Specialist for Snap on Smile. Voted “Best of USA” by his peers. Leading Provider of Teeth Veneers, Lumineers, Clear Choice Teeth Replacement. One of Top Veneer Specialist in California. In order to achieve your best smile, we must start with healthy gums and teeth. We welcome you to visit Anacapa Dental Art Institute for your routine dental exams and cleanings, as those serve as the foundation for a beautiful smile. Once your oral health is in check, you can explore how to easily enhance your smile with teeth whitening or orthodontic care, and for greater smile transformation, we offer veneers and natural aesthetic crowns. Chipped, ground-down, stained and a host of other conditions of the teeth can cause one to be self-conscious. In fact, studies have shown that as many as 8 out of 10 people are unhappy with their smile. As it is the focal point of your face, many feel that their teeth are the most important assets they have. When a tooth gets chipped, cracked, discolored or is subjected to any number of disfigurations, it can greatly impact the way one views him or herself. A gap in one’s teeth, cavities, misshapen teeth from grinding or another reason, exposed tooth root from receding gums are a few of the common ailments that can benefit from the dental bonding procedure. When looking for a skilled dentist who offers the revolutionary Invisalign clear aligner technology, it’s best to choose a master in the field of cosmetic dentistry. Dr. Jivraj and his expert staff at the Anacapa Dental Art Institute in beautiful Oxnard, CA are world leaders in aesthetic dental procedures, providing some of the best Invisalign Oxnard & Ventura County have seen. ENJOY A COMPLIMENTARY COSMETIC CONSULTATION – ON US! Have all of your questions answered – no strings attached. You’ll get the opportunity to discuss all the possibilities on how we could create your dream smile. Answer Some Simple Questions to Find Out If Dr. Jivraj’s Porcelain Veneers Treatment Might be Right For You. How To Choose Your Perfect Cosmetic Dentist? A smile makeover is a decision you can’t take lightly. Be sure you’re considering these 10 factors when choosing a cosmetic dentist Oxnard, Ventura, and Santa Barbara. If you rely on your long-time family dentist for cosmetic dentistry, think again. The fact is, many dentists are generalists who simply have not practiced cosmetic dentistry, or at least not regularly. Even after the dentist has completed advanced post-doctorate training, the experience of treating countless patients for cosmetic dentistry is immeasurable. Great cosmetic dentistry is an art form requiring years of experience. If you are considering cosmetic dentistry, you should ask exactly how many veneers has the dentist placed or how many full mouth reconstructions he/she performed? If this number is few and far between, you may want to reconsider. FYI – Dr. Saj Jivraj has extensive experience and has created countless beautiful, life-changing smiles. While technical talent is necessary to produce a great clinical result, it is not sufficient. 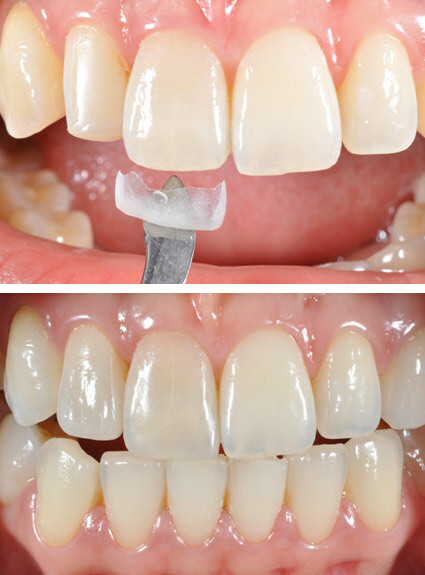 The artistry involved in creating a beautiful smile should never be underestimated. Truly, cosmetic dentistry is a balance of art and science. A perfect smile should be both natural-looking and aesthetically appealing. It is important that you entrust your smile to someone with a keen artistic eye in addition to technical skill. Each tooth should be treated as a micro-sculpture, carefully considering such factors as color, line, angles, shape, thickness, translucency, and occlusion. The dentist should then understand the importance of design and aesthetics of one’s face as a whole. Each and every tooth relates to the patient’s facial characteristics to ensure each element of the overall design functions cohesively. As a result, each smile will be created characteristically unique and perfectly suited to the individual patient. Most importantly, the dentist should have the ability to understand the individual preferences of each and every patient to be able to interpret and perfectly create the dream smile the patient had envisioned for himself or herself. FYI – As a true industry leader in cosmetic dentistry, Dr. Saj Jivraj has pursued cosmetic dentistry with artistic integrity. He relishes in the “artistry” of creating a beautiful smile. His focus has been and continues to be creating beautiful smiles with artistic integrity, transforming the lives of his patients forever. Making the continual investment in the latest advanced technology requires a large commitment from any dentist. Dental technology is costly and requires further investment in training to operate. Unforeseen to most patients, having the latest advanced technology is important for optimum results. In general, the latest technology will allow for better accuracy and precision. Less invasive procedures aid in faster recovery times, which means less downtime for the patient. Ultimately, they create better results. FYI – With the advent of computers and the digital age, dental instruments have changed radically in the last 20 years. Gone is the day of the surgical scalpel, replaced by the laser tissue removal instrument, which is far less invasive. Since inception, we continue to invest in the latest laser and digital equipment. This commitment has earned Dr. Jivraj’s Anacapa Dental office a reputation from local media for having the latest technology and most progressive dental treatments. Find a doctor that does not cut corners and has integrity for smile perfection. The formation of veneers and ceramic materials is done in the laboratory. Your dentist’s choice in first-rate materials and equipment is key. It is important that you recognize a sense of integrity and perfectionism from your cosmetic dentist because this mindset will carry through all aspects of your smile creation. FYI – Dr. Saj Jivraj has integrity that will never compromise any aspect of smile creation. He is meticulous and a perfectionist, only utilizing the finest materials and equipment throughout. You will want to review “actual patient” work performed by the cosmetic dentist. Ask to see “before and after” photos. Beware that there are commercially available photos and albums that show the possibilities of cosmetic dentistry. You will want to confirm that you are looking at actual work performed by the dentist you are considering. FYI – We have a large gallery of real patient photos so you can view and compare different smile designs. Also, these photos will help you to communicate and determine how you would like your own dream smile to look. Behind every cosmetic dental practice is a lab that produces custom porcelain veneers, ceramic and composite restoration materials. The quality of veneers and other materials are only as good as the supplier. Materials must stand the test of time in strength and be stain-resistant. Equally important, they must appear perfectly natural in shape, color, and translucency. Your dentist should be working with a first-rate exclusive laboratory that caters only to elite cosmetic dentists. FYI – We have our own onsite dental lab that produces only the finest elite cosmetic veneers and other materials. Do you know that various educational levels of post-doctorate cosmetic dentistry are currently not recognized by most states (including CA)? Clear distinctions between general dentistry and cosmetic dentistry have yet to be defined and regulated. This means any dentist can practice cosmetic dentistry. As frightening as this may sound, it is currently up to the patient to inquire about his/her dentist’s level of advanced cosmetic training and experience. Here’s what you should know: First, attending a respected university with a top doctorate program is key to establishing a good foundation in General Dentistry. However, universities and colleges are not geared for advanced Cosmetic, Reconstructive and Neuromuscular Dentistry. Post-doctorate cosmetic training must be sought at one of the few advanced training facilities located around the country. This is a large commitment for most dentists, as it usually entails out-of-state travel on a regular basis over many years. As we know it, advanced cosmetic and reconstructive dentistry training is a relatively new phenomenon. FYI – Dr. Saj Jivraj earned his DDS (Doctor of Dental Surgery) at the University of Manchester, he decided to go further in his studies. He was accepted into the world-renowned Herman Ostrow School of Dentistry at USC, where he mastered the art and skill of mouth reconstructive procedures. After finishing his three-year program, he became a fully certified prosthodontist, giving him among the best abilities of any dentist in Ventura. Not only does Dr. Jivraj reside over private practice in Oxnard, he also holds many other positions. He currently is on the editorial board of the Journal of Esthetic and Restorative Dentistry, is the ad hoc reviewer for the Journal of Prosthetic Dentistry and is Associate Clinical Editor for Dental Teamwork magazine. 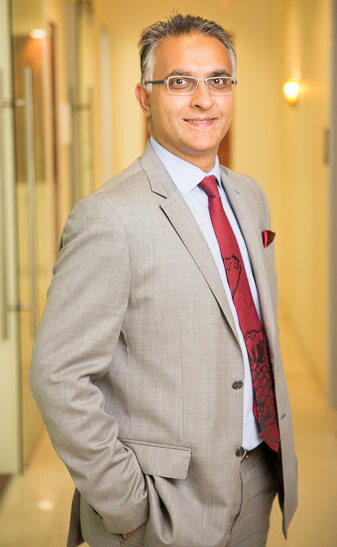 Dr. Jivraj also holds faculty positions as an Associate Clinical Professor at the USC School of Dentistry, clinical teacher at the Eastman Dental Institute in London and is on the Board of Directors for the British Academy of Restorative Dentistry. Functionality and health are foremost. Performing aesthetic reconstructions entails advanced knowledge and experience. Treating individual teeth is an artform by itself, but treating a smile is much more complex. Understanding how the bite functions and the facial muscles work in totality is crucial to your overall functionality and long-term health. This is known as Neuromuscular Dentistry (NMD). If you are having any cosmetic dentistry performed, a cosmetic dentist trained in Neuromuscular Dentistry should be chosen. NMD should be combined with Advanced Reconstructive Dentistry and Advanced Aesthetic Dentistry. FYI – Dr. Saj Jivraj is highly trained in all areas of advanced dentistry. This combination of advanced training has provided him with the extensive knowledge and understanding to perform complex cosmetic dentistry. At your consultation, you should expect to make a connection with the cosmetic dentist and staff. Cosmetic dentistry is a process. Trusting your intuition is key. You should feel comfortable and at ease with the staff and doctor. Why? Communication is vital in creating your ideal smile that is individually suited to you. FYI – Dr. Saj Jivraj understands the importance of great patient/doctor communication. He will want to get to know YOU to learn all your characteristic likes and dislikes. Dr. Jivraj thrives on open patient communication throughout the process while guiding you in making the appropriate aesthetic decisions. This is all part of the design process to help create your dream smile. Quality cosmetic dentistry is surprisingly affordable for most and not just for the rich and famous. In addition, financing is now readily available at most cosmetic dental practices making it more accessible. However, on the flip side, it is important to understand that cutting corners in cosmetic dentistry may compromise your results, or worse. Your cosmetic dentist should have: Advanced cosmetic training. A vast wealth of hands-on experience in cosmetic dentistry. An eye for artistry. The highest grade of materials and equipment. Each of these variables should be scrutinized when considering a cosmetic dentist. Be very skeptical if you are quoted less than the prevailing experienced cosmetic dentists in the area. Cosmetic dentistry is not something you want to compromise on. FYI – Dr. Saj Jivraj is highly trained in all areas of advanced dentistry. His experience is immeasurable, having created countless dream smiles. He is celebrated for his virtuosity in artistic smile design. Only the highest grade of materials and the latest state-of-the-art equipment are used. In sum, you may not be famous or a star, but you will certainly look and feel like one with your new dream smile. At Anacapa Dental Art Institute, most insurance plans are accepted. We will work with you to devise a treatment plan that fits within your financial needs. We are happy to assist with insurance in order to maximize your benefits and discuss financing options, such as CareCredit, Lending Club, etc. See the actual work of Dr. Saj Jivraj, who has changed the lives of so many people in Oxnard, Ventura, Camarillo and Thousand Oaks. Dr. Jivraj can hide many smile flaws with smile design, including chips, cracks, stains, gap between teeth and crookedness. A new, beautiful smile lets the real YOU shine. You’ll find yourself smiling more, giving you the confidence and motivation to do what you love to do. A healthy, beautiful smile can turn back the clock. With Dr. Jivraj’s expertise with science and art, you may look ten years younger! Correcting the wear and tear of your teeth will give you the motivation to take care of your smile and prevent further damage on your smile. YOU’VE MADE THIS FAR… GO AHEAD, TAKE THE NEXT STEP.